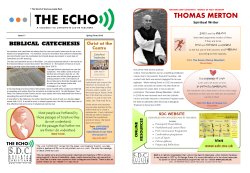 One key and essential source is the Bible - our sacred scriptures which in the words of the Second Vatican council document ‘Dei Verbum’ is ‘the speech of God as it is put down in writing under the breath of the Holy Spirit’ (DV 9) Through Biblical catechesis we use the scriptures - the written word of God to tell the story of God’s love for us. 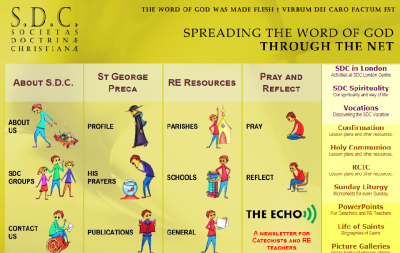 We use stories and all the other genres of writing present in the rich treasure of the scriptures to illustrate thoughts and to draw out the deeper truths and messages of our Faith. In his teachings and encounters with people, Jesus himself often quoted and referred to episodes and quotes from the scriptures to make his point. So did Stephen, Paul, Peter, the Fathers of the Church and so many saints who have dedicated their lives to spreading the word of God to others. In the letter to the Hebrews, the writer describes the word of God as a double edged sword (Heb 4:12). It would be such a missed opportunity if we fail to make best use of this effective tool and source of all good as best we can. Most people are bothered by those passages of Scripture they do not understand; but the passages that bother me are those I do understand. 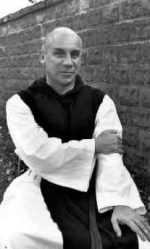 One of the best known spiritual writers, Thomas Merton had an unsettling childhood mainly due to his parents’ frequent travelling. His contact with faith was almost negligent till he was eighteen. While visiting Rome in 1933 he prayed in one of the churches he visited. He described his conversion ten years later in his acclaimed publication ‘The Seven Storey Mountain’ (1948). In 1938 he was received back into the Catholic Church and later became a renowned Trappist monk. He died accidentally while lecturing in Bangkok, Thailand in December 1968. Souls are like athletes that need opponents worthy of them, if they are to be tried and extended and pushed to the full use of their powers, and rewarded according to their capacity. The beginning of love is the will to let those we love be perfectly themselves, the resolution not to twist them to fit our own image. Otherwise we love only the reflection of ourselves we find in them.